The Gap's creative director insists that "Fashion is...about instinct and gut reaction." In the competitive world of retail, that "instinct" has been set to fast forward as Gap seeks to outpace fast-fashion retailers and other trends that constantly push Gap and other retailers to meet consumer needs, faster. As boring as it may seem, Gap's purchase order management system really, really matters in ensuring it can quickly evolve to meet consumer tastes. Unable to meet business agility requirements using traditional relational databases, Gap uses MongoDB for a wide range of supply chain systems, including various master data management, inventory and logistics functions, including purchase order management. 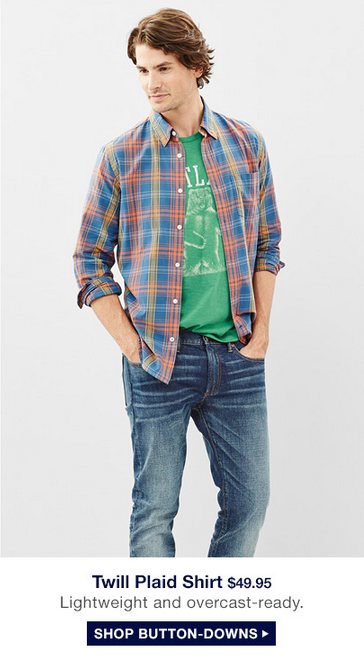 This is no small feat given Gap's size. The Gap is a global specialty retailer offering clothing, accessories and personal care products for men, women, children and babies. With nearly 134,000 employees and almost 3,200 company-operated stores and an additional 400 franchise stores, fashion-conscious consumers can find The Gap around the world. And they do, spending over $16 billion annually on Gap's latest track pant, indigo-washed jeans and racerback tanks. That's both the good news and the bad news, as presented by Gap consultant Ryan Murray at MongoDB World. Good, because it means Gap, more than anyone else, dresses America and, increasingly, the world. Bad, because at its scale change can be hard. Even something simple like a purchase order can have a huge impact on a company like Gap. A purchase order is a rich business object that contains various pieces of information (item type, color, price, vendor information, shipping information, etc.). A purchase order at Gap can be an order to a vendor to produce a certain article of clothing. The critical thing is that the business thinks about the order as a single entity, while Gap's RDBMS broke up the purchase order into a variety of rows, columns and tables, joined together. evelopers may be more technical than the rest of us, Gap wanted its developers helping to build its business, not merely its technology. Murray continues: "We don't want the developer having to work with the impedance mismatch between the business concept that they're trying to solve for and the technology they're using to solve it." 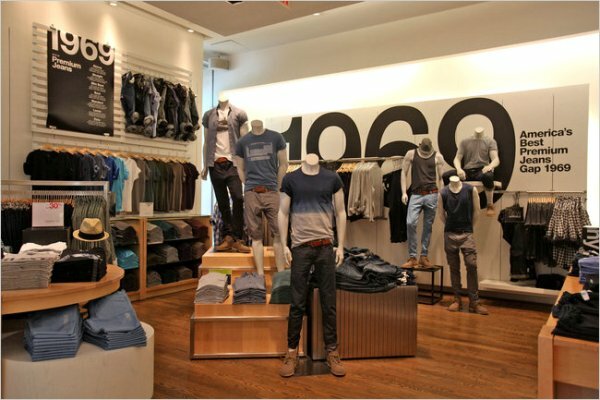 As such, Gap realized it needed to evolve how it manages inventory and its vendors. It turned to MongoDB because it was able to easily make sense of data that comes in different shapes, which it needed to store quickly and transparently in Gap's database. MongoDB, in short, helped Gap become much more agile and, hence, far more competitive. One way Gap managed this was by moving from a monolithic application architecture to a microservices-based approach. 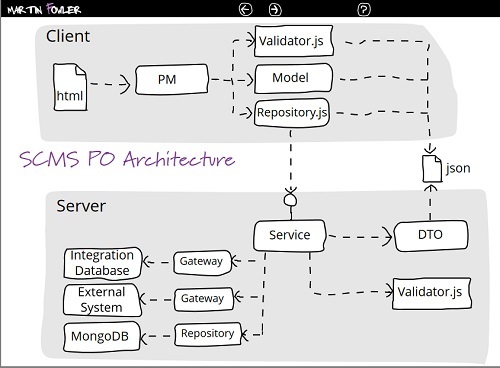 The traditional model for building applications has typically been as large monoliths. In this case, that meant the PO system was one, big code base that handled everything related to a PO, whether that was handling demand from the planning systems and creating those purchase orders or simply handling how the purchase orders actually integrate to other systems and get down to the vendors. All of those things are actually fairly independent of each other, but the code base to manage it was monstrously big and monolithic. Instead Murray and team introduced the concept of the microservice, a service dedicated to one business capability. For example, a microservice could handle communicating out to the vendors by EDI or whatever technology that a new purchase order has been registered. It turns out that MongoDB is perfect for such microservices because it's so simple and lightweight, Murray notes. Gap uses MongoDB to power these single service and to connect them together. Each of these services lines up with a business function. Developers can work on separate microservices without bumping into or waiting on each other, as is common in a monolithic architecture. This enables them to be far more productive; to work much faster. MongoDB As An "Extreme Enabler Of Agile Development"
MongoDB allow[s our developers] to essentially forget about the storage layer that's underneath and just get work done. As the business evolves, the concept of a purchase order as an aggregate concept will also change as they add fields to it. MongoDB gets out of the way. [Developers] drop a collection, start up new code over that database, and MongoDB accepts whatever they throw at it. Again, developers don't have to stop, break the context of solving the business problem, and get back to what they're doing. They simply get to focus on the business problem. And so as an agile enabler, as an enabler of developers to work fast and smart, MongoDB do is extremely useful. As just one example, Gap was able to develop this new MongoDB-based purchase order system in just 75 days, a record for the company. In true agile fashion, MongoDB enables Gap to continue to iterate on the system. Five months in, the business wanted to track in a dashboard style the life of a purchase order. With MongoDB, that business requirement turned out to almost require no development effort. Murray and team were able to add new types of purchase orders and have them easily coexist with old purchase orders in the same collection and keep moving. Not in months. Or weeks. But rather each day the development team was able to show the business what that feature might look like because of MongoDB's flexibility. All of which makes Murray and his team at Gap so happy to work with MongoDB. "Software is ultimately about people," he insists, and giving developers software like MongoDB that they love to use makes them happy and productive.